Ah, the Roman Reigns heel turn. Rumoured by fans ever since Reigns won the Royal Rumble match in 2015 to a thunderous ovation of boos. The jeers have unfortunately never left the Roman Empire alone. Including that fateful night in Philadelphia, there have been a number of opportunities to turn ‘The Guy’ heel, but WWE’s persistence on pushing him as a top babyface (despite constant negative reactions from a large section of fans) has prevented the heel turn from ever materialising. Although fan reactions for Reigns aren’t nearly as bad right now as they were throughout mid 2015-late 2016, boos are still there despite his improvements within the squared circle (and his current position in the mid card). Will Reigns ever get over with the fans as a babyface? This is the unfortunate night where all the boos began. 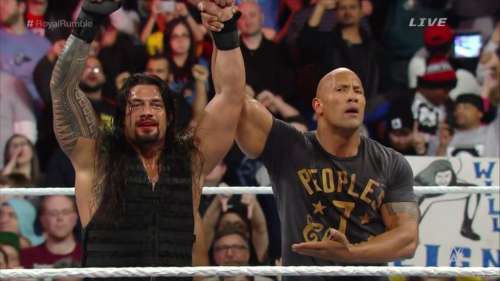 The Royal Rumble match for 2015 is now considered among one of the worst in history by fans due to Reigns’ victory. Rejecting the whole match after Daniel Bryan was eliminated early and raining down boos on the Roman Empire, fans ruined WWE’s expected babyface victory for the former Shield strongman. If WWE had just steered into the storm, however, an otherwise poor Rumble could’ve been brilliant. Also read: Should WWE consider a heel turn for Roman Reigns? WWE had a splendid situation on their hands. Reigns could win the Rumble as planned, and then immediately turn on his Samoan cousin, attacking the incredibly popular ‘People’s Champion’. Rather than fighting the boos on the road to Wrestlemania 31, Reigns could have been embracing them. The build (and the match) for the main event of Wrestlemania 31 would have benefited significantly, and WWE would still have been able to put Reigns over Lesnar in the main event on the Grandest Stage of Them All. Instead of this splendid win/win situation, WWE took the weakest route possible, keeping Reigns as a babyface against the infinitely more popular Beast Incarnate. This was sadly the first of many opportunities wasted, as WWE could have prevented the negative reactions for a babyface Reigns before they even developed. 5 reasons why Seth Rollins should turn heel: Paving the way for Roman Reigns for the WWE Universal Title?